I try to get most of my writing done in the morning – I usually start around 10am, turn off my phone and get words on the page until lunchtime. Obviously not every day works that way but I do try to write as much as I can before lunch. Then in the afternoons I work on admin that needs doing – emails, social media, blog posts, freelance projects etc. It hasn’t always been that way – until last summer I had a full-time job so writing happened whenever I had a free moment – waiting for the train, in coffee shops at lunchtime, before and after work. I have turned the box room in my house into a little writing room and that’s where I do most of my writing these days. It’s just me, my desk, my laptop, my notebooks and an essential oil diffuser. It’s my sanctuary. I go for a walk every morning after I get up, then I have a cup of tea, listen to The Archers (a British radio soap set on a farm for anyone who has no idea what that is) and then I go upstairs and get on with it. Only water in a bottle that doesn’t spill! I have learned the hard way the perils of eating and drinking near a laptop! It’s always a toss up between Dickens’ Bleak House and The Dark Half by Stephen King..
I’d love to write an historical romance but I’m not sure I could handle all the research. 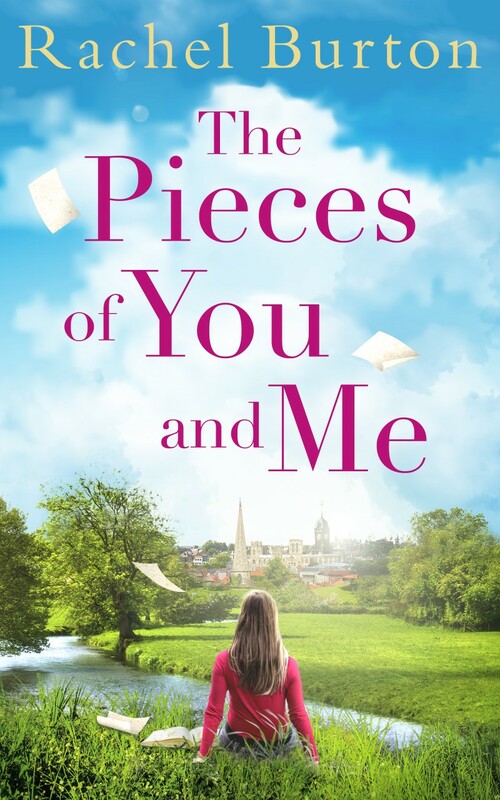 Like Jess, the heroine of The Pieces of You and Me, I studied Classics at university and Jess writes detective novels set in Ancient Greece which is also a sort of secret dream of mine. But I think for now I will live vicariously through her! Yes, mostly people I used to know, but I can’t tell you who! I do, but what I am notoriously bad at is having a pen. I can often be found begging random strangers for biros. Psychological Thrillers. I completely get why they are so popular but I find that the tension makes my anxiety and insomnia even worse than it is already so I tend to give them a wide berth for my own mental health! Last year I read a series of romance novels by an American Romance author called Jennifer Snow. I absolutely fell in love with her writing, her dialogue and her characterisation and would love to do a collaboration with her! I travelled to one of my favourite parts of Spain to research my second novel which was amazing but I’d love to set a book in Tasmania, Australia. I used to live there so it would be fun to go back and research a novel. Thank you, Rachel Burton and Rachel’s Random Resources.